News Americas, BRIDGETOWN, Barbados, Fri. Feb. 8, 2019: Here are the top business stories making news from the Caribbean for the weekending Friday, Feb. 8, 2019. Barbados’ international business and financial services sector is about to get a major boost. Prime Minister Mia Mottley revealed that the state-owned economic development agency, Invest Barbados, would be given additional resources to adequately market the jurisdiction “in a very aggressive way” in order to attract more international business. The marketing effort, she said, would be done in collaboration with the private sector. And while Mottley did not give an indication of how much funds would be injected into Invest Barbados for the new marketing thrust, she said it would be supported by the new tax regime, legislation, quality of life in Barbados, political stability, security and cyber security. The mnister responsible for business is counting on a planned commercial law court to transform the way business is done and boost the flagging economy. Minister of Small Business, Commerce and Entrepreneurship, Dwight Sutherland, described the bill which was subsequently passed in the Lower House to establish the new court, as a “transformational piece of legislation.”. Sutherland referred to the country’s continued lagging near the bottom of the World Bank’s ranking on the ease of doing business – 129th out of 190 countries. He said that the efficiency of the legal system had a significant bearing on commerce. A major shake-up is coming for struggling regional airline, LIAT, as main shareholder governments await a detailed report on the airline’s operations. The pending changes, which could determine the Airline’s fate, are expected in a matter of months. Among the changes will be the implementation of a performance index to help determine promotions and pay. The Point-a-Pierre oil refinery, PETROTRIN, could re-open in the coming months. This is according to Prime Minister Dr. Keith Rowley. Rowley said that a request for proposals (RFP) was being finalized for release to the international energy industry. He said when finalized, a public notice will be issued inviting bids. Rowley said the selection of a successful bidder will be completed by the end of June this year. A new premium Jamaican product line, Marshall and Brown, has been launched in the United Kingdom to fill a gap in the market for authentic Jamaican food and cooking ingredients. The brand was launched by first generation British-Jamaican, Dr. Carlton Brown, recently at the Jamaica High Commission in London. 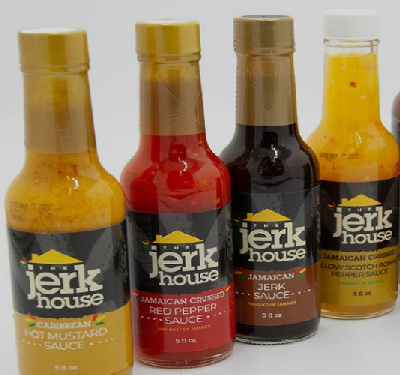 The product line is made in Jamaica and will include six different flavored Mama Brown Jamaica rum cakes, six varieties of Jerk House sauces and seasonings, a Jamaican rum punch and a range of artisan chocolates. Ganja, once ostracized by Conservative Jamaica, is arguably the country’s hottest product, thanks to progressive legislation. That is good news for promoters of the Stepping High Festival, which has grown significantly with the embrace of the previously embattled weed. The event’s 16th edition takes place from March 1-2 in Negril, the tourist town where it was conceived by the Connell family in 2003. The ITM Group is proposing a $130 million development in Grand Bahama that includes the redevelopment of the Grand Lucayan resort complex, and the transformation of Grand Bahama’s cruise port into an adventure park, a project that would produce 2,500 direct jobs and 18,000 indirect jobs, according to the Group’s proposal. The proposal outlines plans for Freeport Harbour to be turned into a lush lagoon park called Harbour Village, replete with a lagoon, food and beverage facilities, and “impressive experience facilities” estimated to cost ITM $56 million. US oil giant, ExxonMobil has made two more discoveries of oil offshore Guyana, building on the previously announced recoverable resources of more than five billion oil-equivalent barrels in the Stabroek block. “This continues to be positive news for the people of the Co-operative Republic of Guyana, but the real substance of these finds will come when all Guyanese are able to benefit from these discoveries, whether directly or indirectly, said Director of Energy, Dr. Mark Bynoe. The Board of Governors of the Dominica Business Forum Inc (DBF) will host its National Economic Forum (NEF) next Thursday, February 14. The National Economic Forum 2019 is aimed at discussing critical issues related to challenges and access to funding by the private sector. Practical solutions to resolve the numerous concerns of the private sector are anticipated to be the main outcome of the event. In an apparent belated recognition that safeguards for real estate investors in the St. Kitts and Nevis citizenship by investment program are inadequate, Attorney General Vincent Byron, while speaking at a meeting with economic citizens and agents in Dubai last week, revealed that the government is taking the necessary steps to strengthen the legislation governing the operation of real estate escrow accounts. EDITOR’S NOTE: This is a weekly snapshot of Caribbean Business and Finance developments, produced by Ricardo Blackman, founder and Chairman of JER Associates, a Barbados-based Public Relations and Integrated Marketing Communications agency.